Just Reduce!!!! Make Offer! Won't Last!!! Calling first time home buyers and investors. Beautiful 2 story 2-bedroom 2.5-bathroom Townhouse/Condo. Brand new roof installation in progress at this time. Tiled 1st floor and wood laminate floors on 2nd floor! Large kitchen with snack counter open to living & dining area. Washer/dryer at kitchen area! Front courtyard only! Large master suite with balcony! Both bedrooms upstairs! Hurricane panel shutters. Freshly painted! Well established community. Enjoy Community Pool and lake walking distance from unit. Close to shopping and entertainment, public transportation. 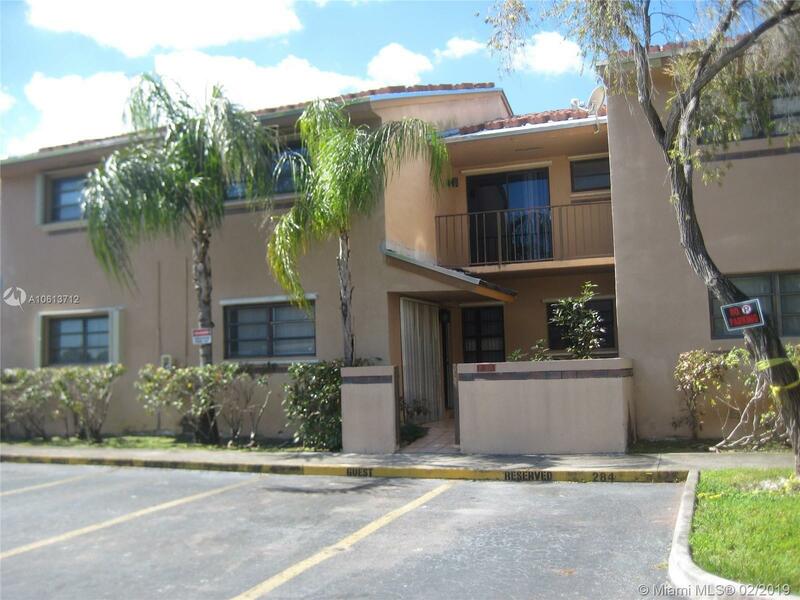 Close to SW/NW 137 Ave 836 extension to Turnpike & Palmetto Expressway. No restrictions to rent. Can rent for around $1,500. Hurry!!! Won't last!! !